I'm going to point out straight away that this product isn't natural or green like the products I usually feature, however I've copied the ingredients below so you can see that they're actually quite simple and for a product that is a chemical peel and is washed off, I think it's a-okay. Bravura products are also cruelty free and vegan friendly. 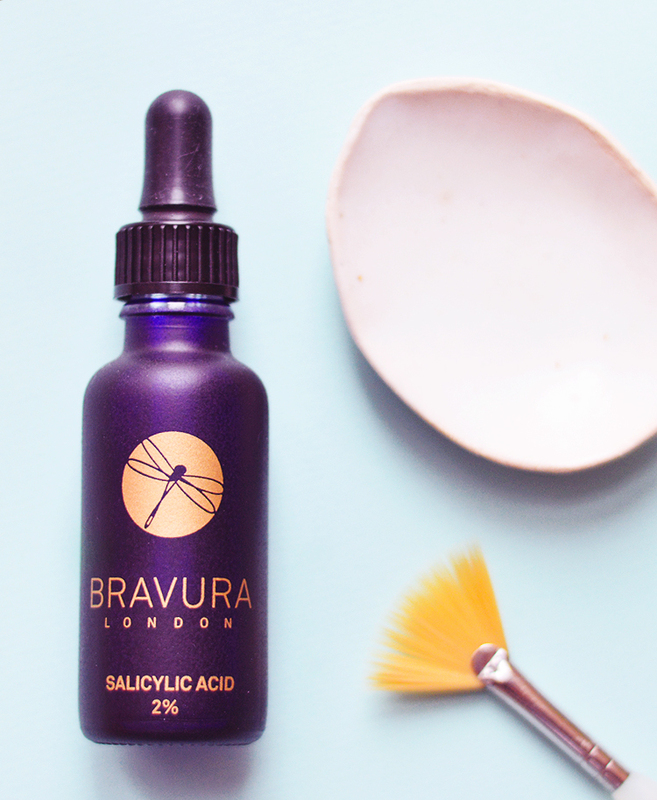 I went for the Bravura Salicylic Acid Peel (£9.59) because I'd been suffering with a tonne of blocked pores thanks to my crazy oily and hormonal imbalanced skin. Salicylic acid is incredibly effective at treating acne, blackheads and oily skin, more so than glycolic and lactic acids which are better for treating texture, hyperpigmentation and wrinkles. The Bravura Peels are designed to be used every other day and the lower concentration of salicylic acid allows for an effective regular treatment for congested skin without any irritation. I only use my peel 1-2 times a week, as I've found this is the perfect amount to keep my skin ticking over nicely whilst working on banishing blackheads and blemishes. I started out by using the peel for only 4 minutes at a time, but have worked up to leaving it on for up to half an hour without any tingling or discomfort. The peel must be applied to clean and dry skin that has had time to return to a balanced PH level, either by waiting 30 minutes after cleansing or by using an PH balancing toner before use, this is a important step so make sure you don't forget! The peel itself looks and feels exactly like water (as that is the main ingredient) and works best when applied with a brush, I use an old synthetic paint brush but you can also buy brushes from Bravura for about £3. To neutralise the peel afterwards you simply have to rinse your skin with tepid water and then continue with your skincare routine. 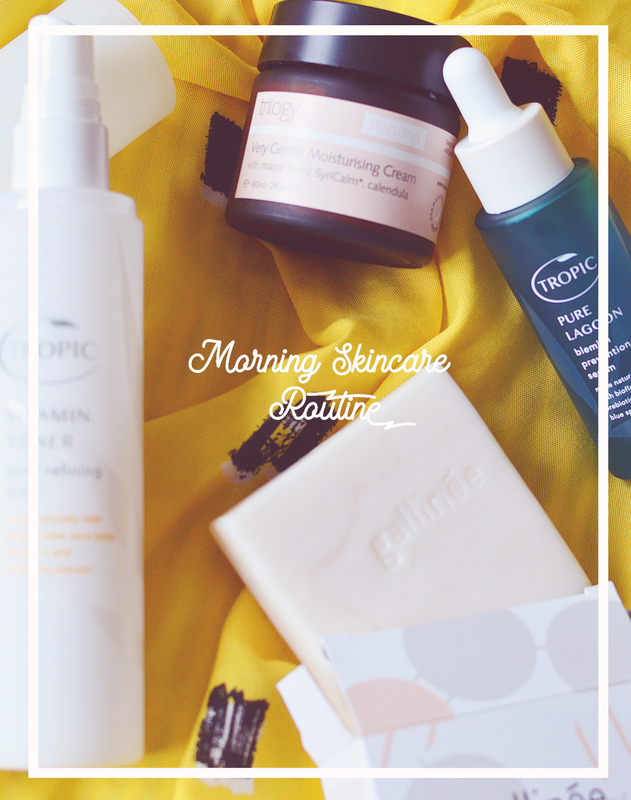 I noticed my skin feeling quite dry after longer treatments so like following up with a moisture mask or just making sure I use my most hydrating skincare. So what about results? I am actually so impressed with this peel, in recent months with the combination of skincare, diet and supplements my skin has shown a steady improvement. The peel has worked wonders on the blackheads I had around my jaw and cheeks and even better it helps blemishes get the hell off of my face that much quicker without leaving deep scars. I now want to work on improving my older acne scars and the texture of my skin so may pick up the glycolic acid peel to help with this as it sounds just as promising, plus they're so affordable and last really well. I've had my peel since December and am only halfway through the bottle. Have you tried anything from Bravura or using acid peels before?